When this book first landed in my hands, I thought it was some sort of drug or dream universe. I honestly did not expect it to be the ultimate dare. Plot: This is about a small town that offers one thing: Freedom. That freedom comes with a price. The price of a bet worth thousands of dollars and only one person wins. In order to when this obscene amount of money you must complete dares. Now these aren’t just small dares. They are dangerous. The more you complete you make it to the next level. Not all make it to the next level. Some get seriously hurt and other times they die. Since it is in a small town, the cops act like they don’t know about it. But if your caught, its jail time. I have to admit that this premise alone in the first chapter suddenly took me in. Panic: Panic derives from fear. You get dares on doing very dangerous and stupid things. Yet it is every entertaining to watch it all go down. It played like a movie in my mind, watching these competitors compete for their freedom. Some wanted they money to just be rich but others wanted it cause they needed a head start to leave the small town. So I can get their motives. Half-way through the book I felt it so connected with characters. I felt their fear but most of all their yearning to leave that small town and that panic was their only answer. Ending: I think this story played out very well. 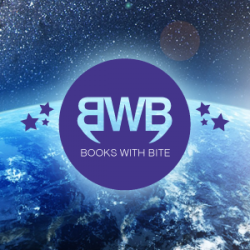 Between the dares and the drama ensuing their everyday lives, I felt like this story has a lot to give to the reader. 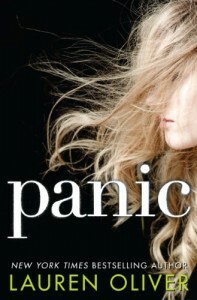 The relationships these characters has to trouble to that came upon them, Panic is certainly a story that plays out differently then most YA books. An equally effective story, Panic is great.